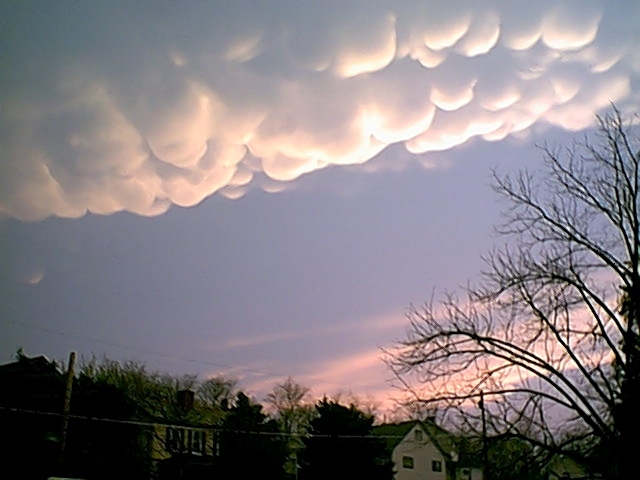 Mammatus are pouched shaped clouds that protrude downward from the thunderstorm's anvil. They form as negatively buoyant moisture laden air sinks. The cloud remains visible until the air sinks enough that the relative humidity falls below 100%. The portion that has a relative humidity of 100% remains visible. 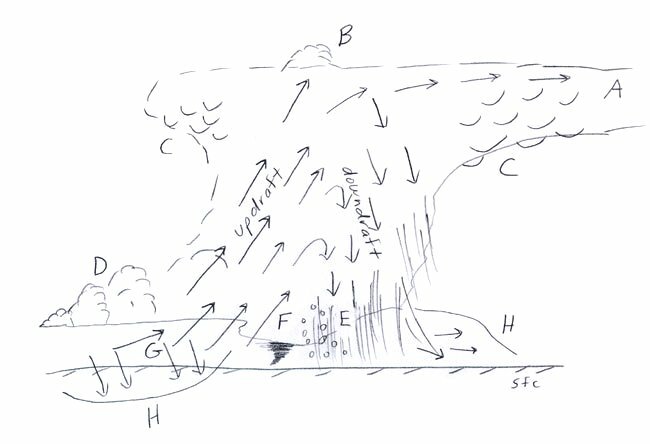 Theories to how they form include: 1) turbulent eddies mixing down moisture, 2) evaporative cooling with surrounding air causes pockets of sinking air, 3) pockets of precipitation falling out of the anvil that produce virga. Mammatus tend to be most prominent in extremely severe storms but can occur when storms are not severe also. The diagram below shows mammatus at "C" in two places. Below the diagram is a picture of mammatus.